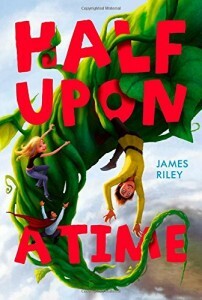 First, the recommendation and review by a fifth-grade reader that led me to this children’s book: “I liked how funny May was.” With just that to go on, I wasn’t sure what to expect, but what better recommendation can you get for a children’s book than from the children who it is written for! I read the book all the way through, and indeed, there is a great deal of humor in the book. There has to be, as the premise is already unusual – someone who lives in the ‘real’ world, finds herself in the world where fairytales are real. The meeting of the two cultures provides lots of room for chuckles and misunderstandings between the main characters May, and Jack. At the same time, I must admit (and perhaps it is due to my age…) I had a hard time figuring everyone out. Many, many fairytale characters are woven into the story, and Jack was always making sense of things pages before I could even make a guess. If your young reader is steeped in fairytales (especially the Grimm tales, as many Waldorf students are), this may not be a problem. It did provide a level of frustration to me as I read the children’s book and couldn’t quite understand what was happening. At the same time, this children’s book is non-stop action, not of all it sweet and light, not at all! So one could (and I did), read the book just for the adventures. I was also disappointed that the ending hinted at a sequel, and indeed there are two more books in the trilogy. I have a strong aversion to books that don’t just end conclusively. You might ask, given all this, why am I adding this book to my website library? Well, the opening says it all – if a reader is excited enough about the book to write to me, it deserves some attention. I hope some other fifth-graders get to read it to. Thank you, A. for suggesting it.